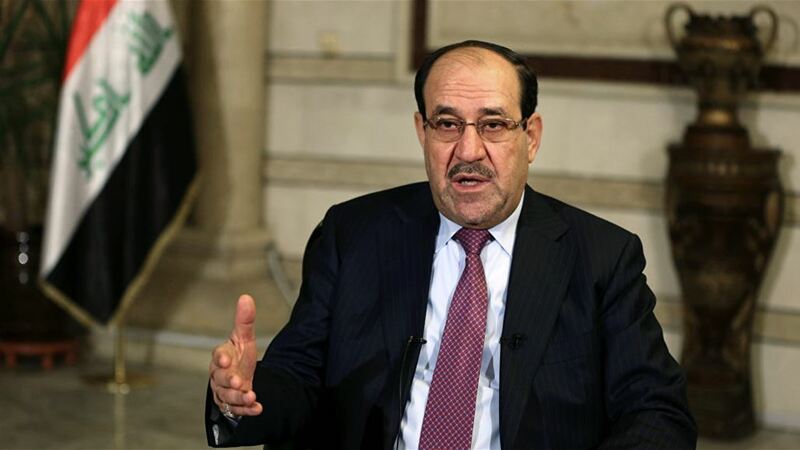 The head of a coalition of state law , Nuri al - Maliki on Saturday that his coalition would not be allowed to replace Faleh al - Fayad , nor even any other candidate for the vacant ministries, as called for moving to clarify their point of view that are motivated to reject the nomination of al - Fayad , the Interior. Maliki said in a press statement followed by Alsumaria News, "The coalition of state law will not allow the coalition of construction and not even Prime Minister Adel Abdul Mahdi, replacing the candidate for the Interior Ministry Faleh Fayyad and not even any other candidate for the ministries vacant," adding that "change Fayadh indicates imposing Wills by a coalition going on the parliament and the government and unconstitutional ways, which is a threat to the political process, "he says. He called on Maliki bloc in the parliament to "clarify their point of view, which prompts them to refuse to take Fayadh to the portfolio of the Interior and abstain from voting in parliament if they wanted to," noting that "in the event that the Fayyad does not get the votes that qualify him to take over the Interior will be replaced, The confidence of the majority of members of parliament, it means that the people is the one who chose him for this position. " Maliki pointed out that "according to the Constitution, the selection of candidates to take over the ministries or not are voting in the dome of parliament and not through chaos and threat and intimidation." The MP said the alliance of Rami al-Sakini, on November 10 last, that there are two theories will wrestle within the parliament and the political system at the current stage, while noting that the others have no personal rivalry or a battle against the candidate of the Ministry of Interior Faleh Fayyad.